Australia lost the 4 match test series to South Africa and it did not come as a shock as three of their best players; Bancroft, Smith and Warner were not in the squad due to a ball-tampering incident. The incident had shook Australia to its roots and although ICC was lenient in its punishment, Cricket Australia handed all three cricketers with a one-year ban each. 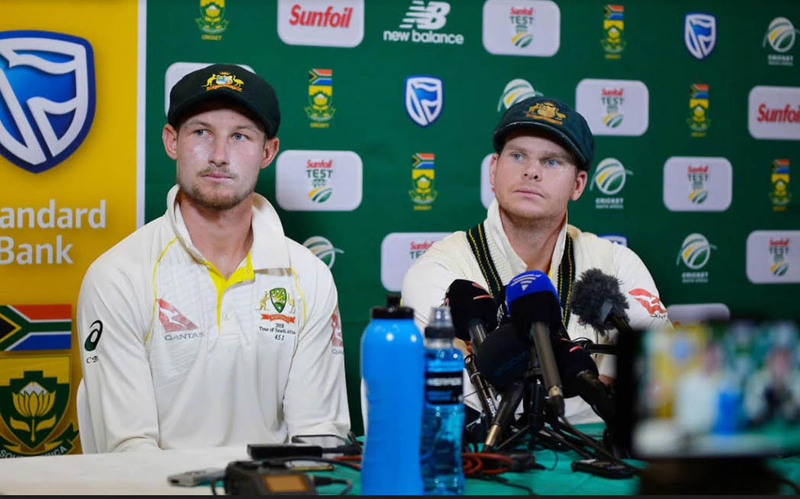 All the players had been sent back to Australia amid the South African tour where they expressed their guilt in their individual press conferences. The former Australian captain Steve Smith and ex-Vice captain Warner shed tears while giving their statements and regretting on what they have done. All the players had an option to contest their bans put on them by Cricket Australia however, it seems that Steve Smith and Cameron Bancroft will not challenge the decision. 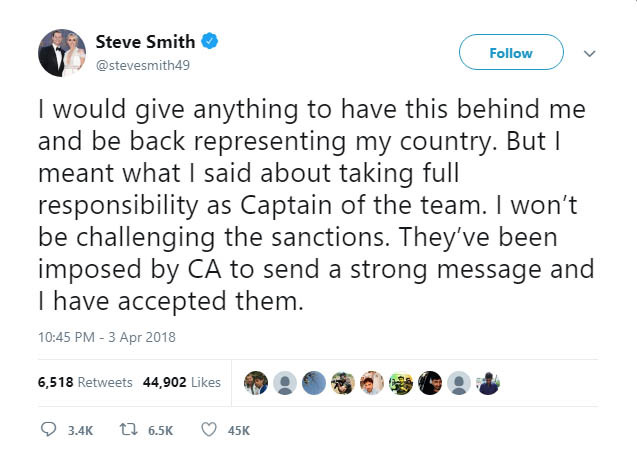 Although the Australian Cricketer’s Association had pledged for a reconsideration for the “disproportionate” bans; Smith and Bancroft chose otherwise. The Australian Cricketers’ Association had said CA should reconsider the “disproportionate” bans. 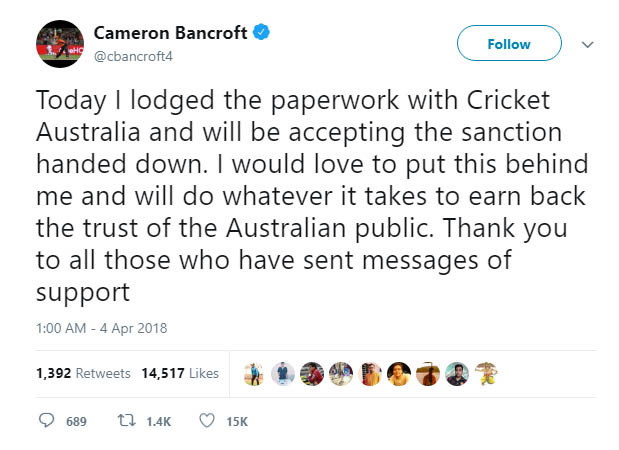 However, Smith and Bancroft took it to twitter to announce that they accept their sanctions that are handed to them by Cricket Australia and they take full responsibility. It remains unclear whether David Warner will contest the ban or not as no announcements have been made by the Australian player.